Buy 3 or more for $17.95 each. Ask a Polish national what their favorite meat is, and you'll most likely get this answer, "Kielbasa". The kielbasa is so ingrained into Polish culture, one might even compare its popularity to Vodka! 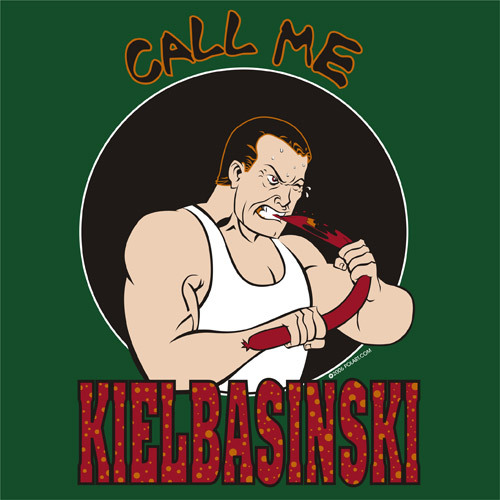 Show your love for the kielbasa with this "Call me Kielbasinski"